DNA is Coming My Way! One of the most interesting subtopics in genealogy is that of DNA, the ability to prove (or disprove) your ancestry based on your genes. DNA can't necessarily prove who your ancestors were but it can give you a good look at what region of the world your ancestors come from. Traditional DNA tests such a Y-Chromosome testing for men and Mitochondrial testing for men and women have been around for quite awhile. In the past year or so autosomal DNA testing for genealogy has started. I have been an active amateur follower of DNA stories in the news. I am no expert but I try to keep up with the latest changes and happenings. I have harbored a secret desire to get my genealogy tested for a long time. I'm not a person to get to overly excited about anything (passionate, yes; excited, no) but I admit I am very excited at the moment. I know that a DNA kit is on its way to my house. In just a few days (I hope!) I will receive a DNA kit from AncestryDNA. I'm going to take you on the journey with me. This will be my first time exploring my DNA and looking in-depth at a DNA test. I'm going to share my findings with you and we'll learn to interpret the test together. You probably be able to give me some pointers! I can't wait! I wonder if I will be in for any surprises! Full disclosure: AncestryDNA is proving the kit to me free of charge so that I can evaluate the product. It will in no way impact my opinion or assessment of the experience. I would be equally happy to assess the products from FamilyTreeDNA and 23andMe. Where's Your Next Client Coming From? A colleague of mine recently posted on her Facebook wall about the conundrum of social media. By spending a lot of time using social media as a marketing tool, it takes away time from actually doing project work. My friend happens to be a professional genealogist but you could insert the profession of any small business or self employed individual. Independent business professionals will always have the challenge of wearing too many hats. When you are the business there is no one else to get the work done unless you hire a consultant. That means important decisions need to be made about how you spend your time. Spending too much time on project work and none on marketing could mean that your project pipeline soon dries up. Conversely, spending too much time on marketing could mean that you end up with more project work than you can realistically get done or you end up empty-handed if your marketing hasn't been done right. The question that naturally followed for the people in the Facebook thread was whether using social media as a marketing tool actually works. One person on the thread mentioned that he asked each new client how they found him. This is a good practice. This could provide the answer you need about whether social media works for you. You need some mechanism to determine where your leads and potential clients are coming from. After awhile you should see a pattern and when you do put more effort into the areas that are most beneficial to generating new business. The key thing is not to focus on social media per se but to understand where your clients come from or where you want them to come from and have a marketing plan, whether traditional marketing or social media, that promotes a steady flow from that source. My friend then asked if someone were to hire you from a print ad would they still expect you to have a strong social media presence so that you would appear as a "thought leader' in your field. This may depend on the particular field you are in but I would say this is more important in the technology and computer sector. I think that if a client found a professional genealogist through a print ad, they would be more interested in the quality of their research skills and abilities than how successful they were at attracting and maintaining an online audience. The real issue of this larger question is what do you want to specialize in (i.e. what's your niche) and where are you likely to find the clients who want your service? Are your clients coming to you from online sources or traditional marketing? Perhaps a bit of experimentation is needed to find the right mix and the right client sources for your business. Once you determine that "sweet spot" then put more of your efforts into that medium. Genealogists are in a time of abundant information. They can access information and education about genealogy from traditional sources as well as internet websites, social media (Facebook, Twitter, Google+, etc), webinars (i.e. online seminars) and the occasional live streaming from conferences. One medium that most genealogists aren't likely familiar with is internet radio. Genealogists are active there too. The programs broadcast on internet radio can be educational but they are often informational or newsy. Most are in a talk show format and include discussions or interviews. They can be a refreshing change from the more typical offerings. The internet radio shows featured here are all broadcast on Blog Talk Radio. The shows are presented live and streamed across the internet to the general public. That means anyone in the world with a fast enough internet connection can tune in. Simply click on the link for the show at the time of the live broadcast and your default broadcast player will play the show for you. Of course, speakers or a headset are a must for being able to hear the audio. If you can't listen live, tune in afterward and listen to the broadcast as a replay in podcast format. Your experience won't be any different unless of course the show host is taking live callers or giving away prizes. You won't be able to participate in that after the fact. You may be wondering what the difference is between an internet radio show and a podcast. 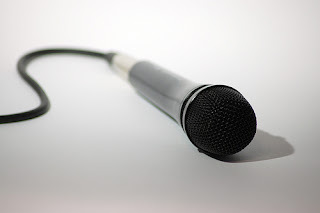 Internet radio shows are broadcast live and have the ability to interact with a live audience. Podcasts are pre-recorded. Live internet radio shows are converted to podcasts after the live episode so they provide the best of both worlds. Jane Wilcox hosts an hour long genealogy show every two weeks. She typically interviews one guest and covers a theme during each show. The shows cover a broad range of genealogical topics that are of general interest to most genealogists. Bernice Bennett's genealogy radio show airs weekly on Thursday nights at 9pm EST and covers a broad range of genealogical topics with a particular emphasis on African American genealogy. Her shows runs about 90 minutes and she regularly features guests. This show is presented twice a month on Saturdays at 2pm EST. The show is geared toward providing help and ideas for genealogical societies. The hosts are either Thomas MacEntee or Randy Whited. The show features one or more guests. Anita Talks Genealogy, which focuses on African American genealogy, airs every Wednesday and Friday from 7:00-8:00pm EST. The show features guests and the live audience is encouraged to call in during the show. 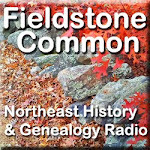 Fieldstone Common is an hour long show every Thursday at 1:00pm EST. It focuses on history and genealogy in New England and northeastern United States. The show features interviews with historical stakeholders such as historians, genealogists, curators, archivists, archaeologists and much more. Door prizes are given out each week during the live episode. This show is no longer presenting live episodes but there are numerous archived episodes from its run from February 2011 to April 2012. The 90-minute show hosted by Thomas MacEntee featured two or three guests and timely discussion topics. Photo Credit: photo by visual.dichotomy and used under the creative commons license. I picked up an intriguing new book that arrived in the mail today. I couldn't wait to get started. I don't know about you but I start right from the front. The copyright made me stop dead in my tracks. I had never seen anything like this before. Except in the United States of America, this book is sold to the condition that it shall not, by way of trade or otherwise, be lent, re-sold, hired out, or otherwise circulated without the publisher's prior consent in any form of binding or cover other than that in which it is published and without a similar condition including this condition being imposed on the subsequent purchaser." Ok, so that's a little quirky. Seems like they really don't want that book circulating outside the United States. Maybe they're afraid of the rest of the world learning our cod secrets. No part of this publication may be reproduced in any form without written permission of the publisher, except by a reviewer, who may quote brief passages for a review." This is what I would term a "normal" copyright notice. No part of this publication may be reproduced, stored in a retrieval system, or transmitted in any form or by any means whatsoever, including, but not limited to, electronic, mechanical, magnetic recording, the Internet, or photocopying, without the prior written approval of the Copyright holder, excepting brief quotations for inclusion in book reviews." The times they are a changing! This is the first time I have ever seen treatment of modern definitions of copying and transmission. They are certainly trying to be all encompassing by including electronic reproduction and the internet. I wonder if they have thought of everything or if there is already some new technology on the horizon that copyright holders need to be worried about. Personally, I'm happy to see them defining these so specifically in the copyright notice. They are themselves becoming an historical record of our times.